Black iron-rich sands are found along much of the western coast of the North Island. Because of its dark colour, the sand absorbs heat and is hot to walk on in summer. 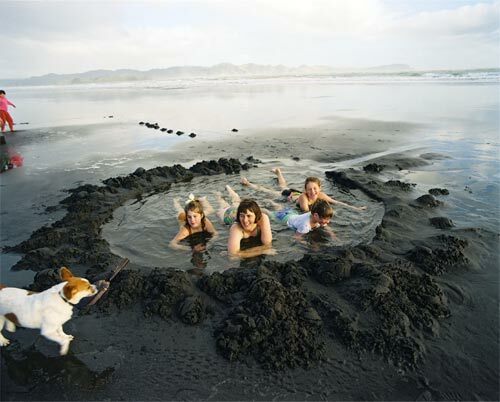 But it is also great for heating a shallow pool dug on the beach.